Sunny spring days. Time to slow down, to enjoy nature, wandering around with your kids. Do not think twice. 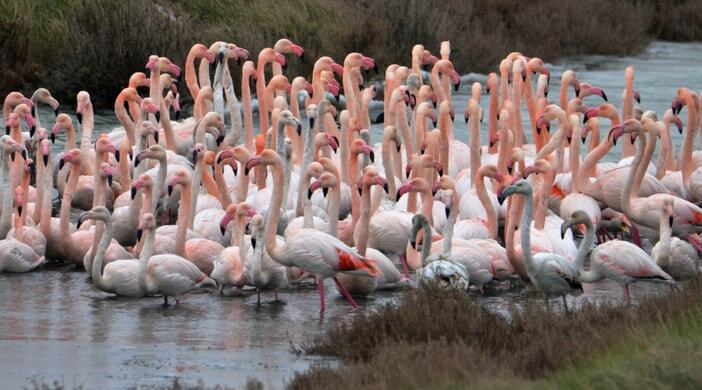 It’s a perfect time of the year to go exploring Po Delta National Park, looking for flamingos. Head off towards Emilia Romagna, where life can be versatile, romantic and educational at the same time. 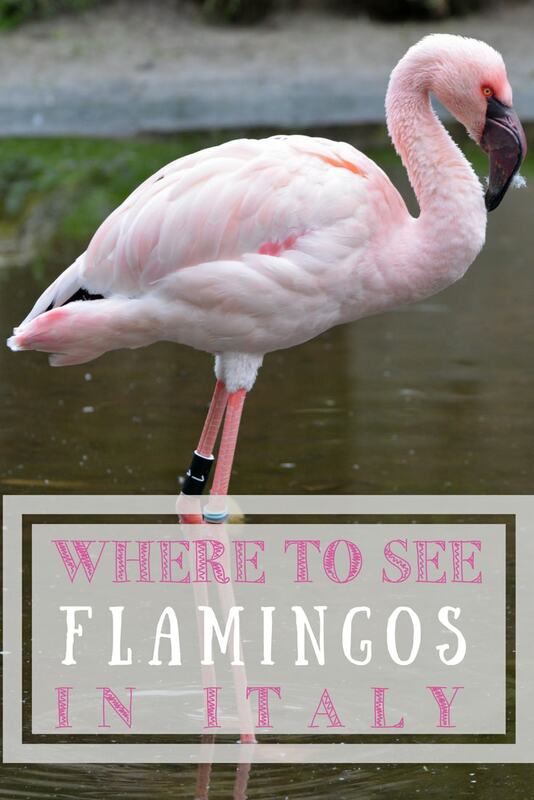 If you are looking for a magic place to see flamingos in Italy with kids, Comacchio Valley is the perfect setting for a family trip. 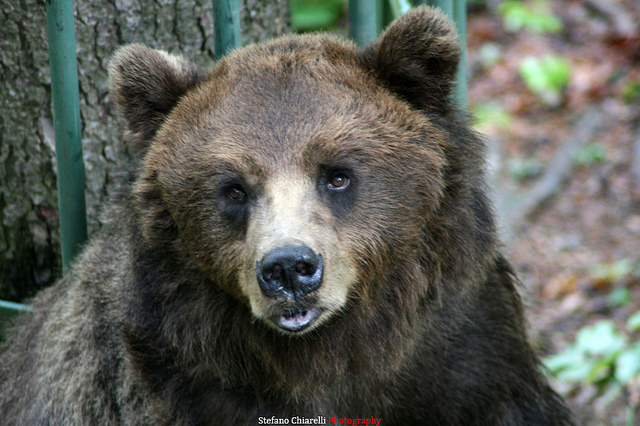 Between the provinces of Ferrara and Ravenna, there is a vast green area surrounded by woods, pine forests and oases. 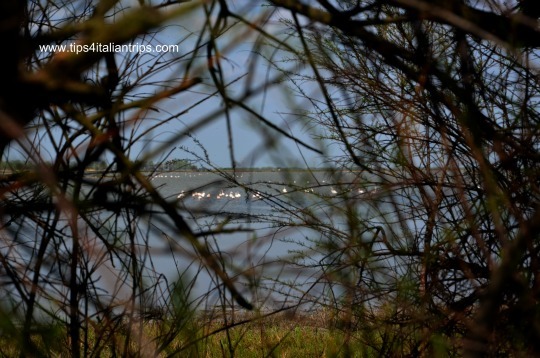 It is the Po Delta Park, 54.000 hectares of unspoilt nature. 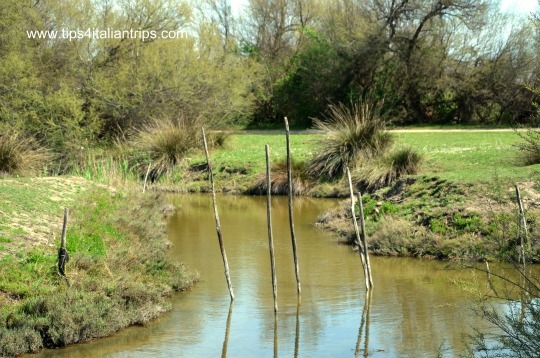 The park offers stunning sceneries and so many different natural environments: dunes along the coast, the forest of Mesola, romantic paths along the river, ancient pinewoods, lagoons in Comacchio and fascinating wetlands in Argenta and Ostellato. The incredible view that we enjoyed walking towards Boscoforte. 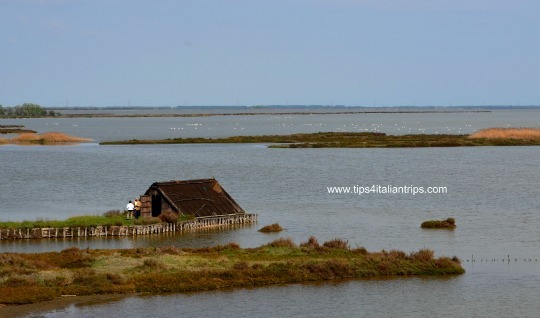 But, if you go a little bit further, off the beaten tracks, you can find a real hidden gem: the Boscoforte Peninsula, one of the most picturesque parts of the Po Delta Park, where pink flamingos and wild horse find shelter and food. You’ll fall in love with this place, I am sure. 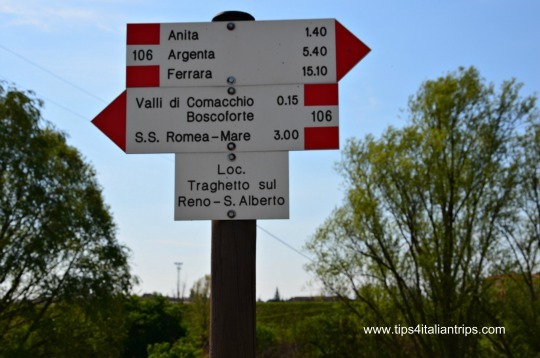 Boscoforte is a privately – owned piece of land that stretches for about 6 km from the left bank of the Rhine River, into the Comacchio Valleys. To preserve its delicate ecosystem, the area is only accessible with authorised guided tours, which must be booked in advance. 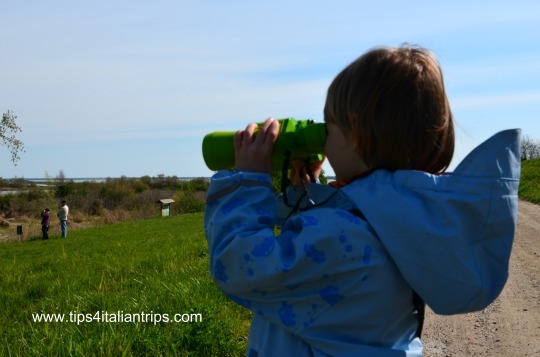 There are several tours available, by foot, bike or electric shuttle; the one we joined was organised by NatuRa Museum in Sant’Alberto, which is a small but fascinating museum, dedicated to the local fauna. The group was quite petit: 12 people, mostly families with kids. From the museum, we walked up to the bank of the Rhine River, where we boarded a small ferry to reach the opposite shore. The “trip” lasted for a minute or so, but I can hardly describe the enthusiasm of my children standing in the middle of the boat! 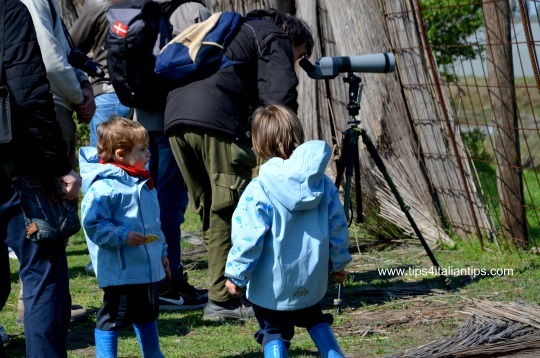 Camera and binoculars are a must if you want to explore Boscoforte, as there is no other place where you can have a better opportunity to admire waders, cormorants, ducks, mallards, pochards, and a magnificent colony of Greater Flamingos. Flamingos while nesting at Boscoforte. Antonio, our guide, told us everything about flamingos: what they eat, how they feed their babies, how they nest… And the kids were so excited to use his big photographic lens! If you are lucky enough, you could even spot a group of Camargue horses, who live wild on the peninsula! 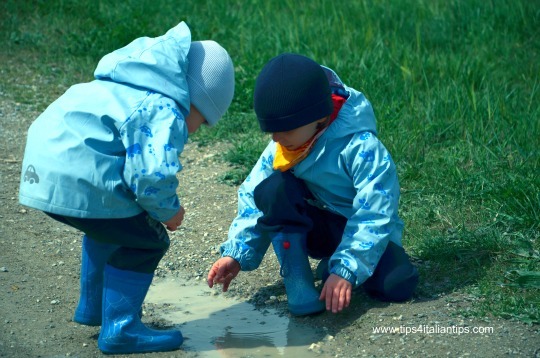 Do not forget to bring rain boots for the kids and some clean clothes with you. Mug and puddles might be around the corner…! And your kids will never forget the fun! It is just so funny, mom!! And this is even more fun! Nature at its wildest, open spaces, direct contact with animals, plants and exciting environments. Kids are free to explore, learning – at the same time – to respect flora and fauna living there. A great day out, where learning enriches the fun! How to get there: these are the indication to get to NatuRa Museum. Take the motorway A14, exit Ravenna. Then take the Highway SS16 and – at km136 – turn into Via Basilica. Please note that you will be driving in a quiet rural area. Therefore a Sat Nat would be recommended. Where to park: plenty of parking space just outside the Musem. Opening times: Boscoforte Peninsula can only be visited during spring and summer, on Saturdays and Sundays. Booking is necessary, at least the day before. 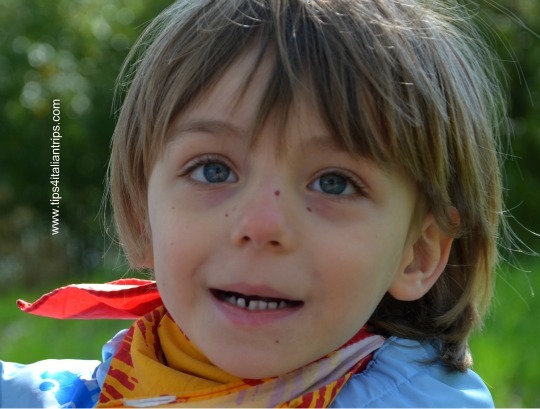 Tickets: 8 euro; free for children up to 6 years old. Tickets include the short boat ride and the guide. Nearby: seaside within 20-minute drive; NatuRa Museum ( the exhibition is enriched by a beautiful collection of amphibians and reptiles, fossil shells from the Adriatic Sea, insects, butterflies and arachnids). 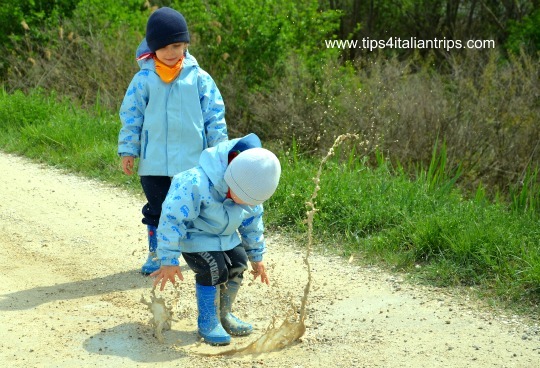 Kids facilities: no kids facilities in Boscoforte Peninsula; there is just wild nature. At NatuRa Museum, instead, you will find a small but excellent bookshop, with children books and themed toys. Also, the museum regularly offers workshops and educational activities dedicated to children, and it is possible to hire bicycles and binoculars. No cafe or any other type of refreshments on site. So bring plenty of drinks and snacks with you.